Mettler-Toledo Garvens launches the C Series of checkweighers with three main product lines. The turnkey C31 StandardLine has been designed especially for packages weighing up to 6 kg, with a throughput rate of 200 units per minute. It can be combined with metal detection technology to provide checkweighing and foreign body detection in one compact system. It has optional features such as water-protected conveyor belts and stable guide rails for fault-free product flow with minimal downtime. The C33 PlusLine can weigh packages between 7 g and 7.5 kg, at throughput rates of up to 300 units per minute. Optional features include encapsulated and highly-resistant conveyor belts for weighing sharp granules. The machine can be combined with one of three complementary advanced metal detection systems. Lastly, the C35 AdvancedLine covers a weighing range from 3 g to 10kg, and measures up to 600 units per minute. The system can be customized with a wide range of ejection, transport and conveyor belt options. It can be integrated with metal detection, vision and x-ray inspection technology in a compact and space-saving combination system. 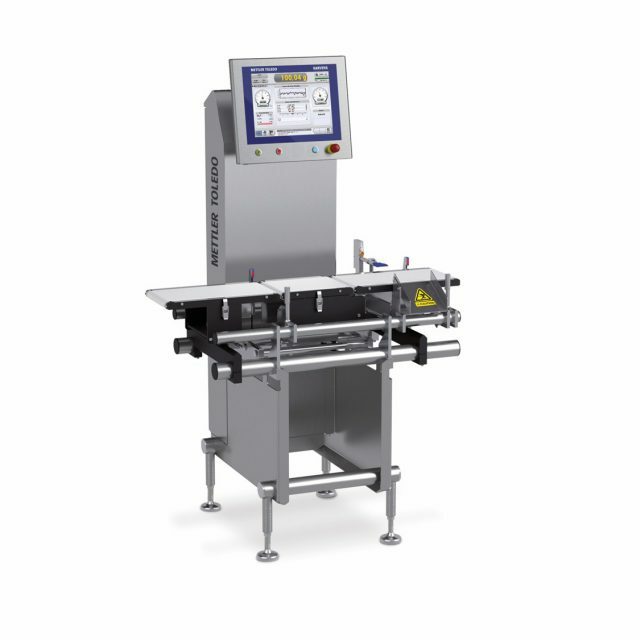 The C21 StandardLine and C23 PlusLine model variants are for larger products, weighing between 80 g and 80 kg. Both are capable of throughput rates of up to 200 packs per minute, optimizing productivity even on lines processing heavy items. All models in the C Series can be installed in production lines across sectors, and support open communication interfaces and protocols for Industry 4.0 environments.